As I have been battling through an injury all summer which still has me out of action at the moment, I have been able to take a bit of a backseat and have a look at our list and the boys from a broader view. There was a fair bit of noise around the players we lost at the end of last season; Banners (Todd Banfield), Kirkey Ugle, Jarrad Blight and Matty Rogers (who has returned to the Demons for a homecoming) were the most notable, with a lot of league and also AFL experience exiting the club. Add to these departures the back half of our 2018 season, which wasn’t as strong as our first half when it came to on-field results, and many have us tipped to struggle in 2019, evident in the annual journo predictions which came out in the West. At a quick glance, the highest anyone had us finishing was seventh. As mentioned already though, the 2019 season is looking like an unpredictable one due to player movement and the new West Coast side coming in, and from what I’ve seen there might be a few underestimating us at their own peril. 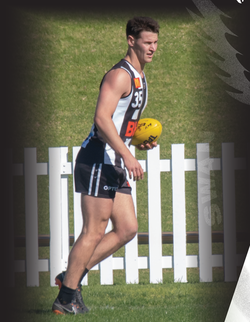 Despite losing experience, we’ve also added some in George Hampson, considered by many one of the best in the comp when up and running, Jesse Glass-McCasker and Josh Simpson, both players with experience in AFL environments. From what I’ve seen some of Josh’s training and pre-season form have produced moments that are on another level from most at the club, while Jesse provides a solid key position option with a deceptive turn of foot for someone his size. 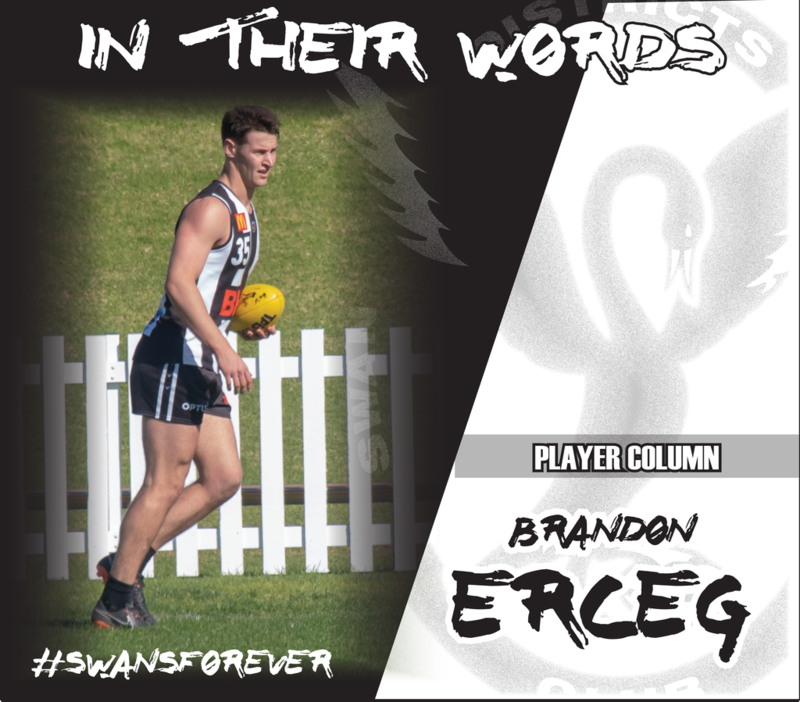 The fact he was originally from Swans helps as he already knows a lot of the boys and seems to have slotted straight back in. These three have bought into to the club and what Pickers and the coaching group are trying to instil, while passing on knowledge where they can. Particularly George, who as Howie mentioned in his column last week, is quite vocal around the club, which is particularly helpful to the younger players in the squad still ‘learning the ropes’. I have only been around the group training for a small portion of the pre-season and even then it is noticeable. Add these three alongside the likes of Howie, Tony, Riggs, Doc, Payney, Gaulty, Davey Ellard and Freddie, and we have strong group of senior players with plenty of experience at the level. 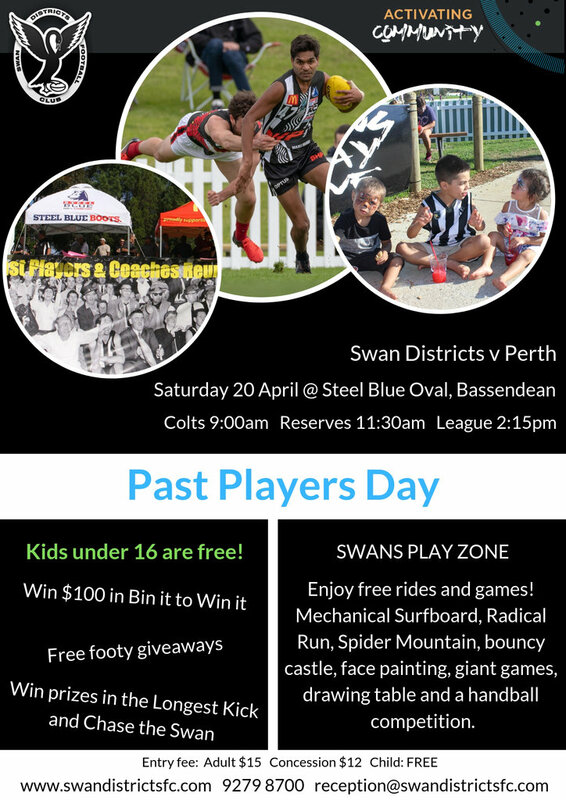 Players such as Jesse Turner, Warrick Wilson, Jackson Slater, Mitch Mackenzie, Brayden Hackett, Alby Dean, Jacob Coniglio and Brayden Noble have all played varying degrees of league footy, being around long enough to know what it’s about. Jesse, Waz and Nobes in particular have played a fair chunk of league footy, but all have the potential to keep going to new levels, while the others mentioned also have plenty to give if and when given the chance. 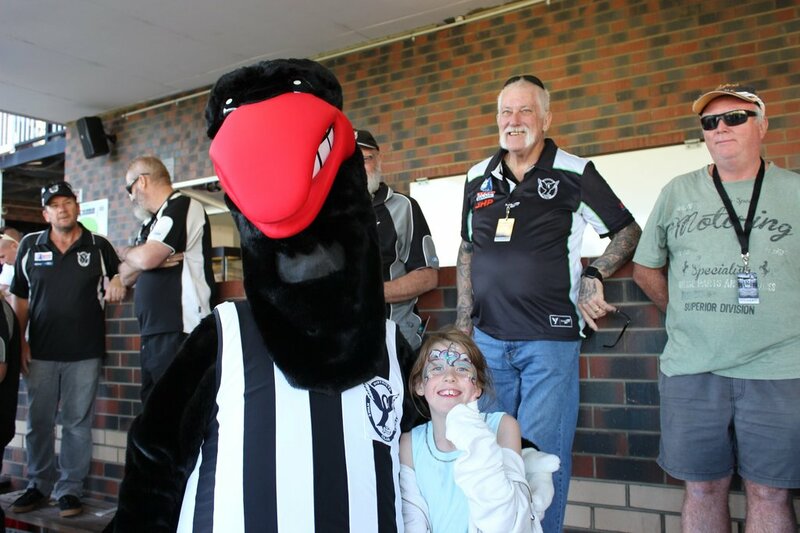 The next group of players are the most intriguing, those who are more of an unknown at league level and to opposition clubs and broader WAFL followers. Jack O’Sullivan, Ethan Maguire, Graydon Wilson, Mitchell Bain, Chad Daniels, Jiah Reidy, Tristian Raynor and Paddy Italiano have all had a taste of league footy, and all have the potential to have some sort of what you would call a ‘breakout’ season or period of games. Josh Cipro and Brad Fullgrabe have had massive pre-seasons and look primed for the next level, with Cip in particular already showing signs on the weekend against South that he has prepared himself to have an impact. Leigh Kohlmann and Tony Stephens have re-joined the club, with Tony having previous league experience. Leigh in particular has me excited, despite being fairly quiet on the weekend in what must be said was a tough day for the big forwards, while also doubling up as his first game which would have brought with it some nerves. I thought Nobes could duke the footy; some of the marks Leigh has been taking at training and in pre-season games have been unreal. Give him time to get used to the pace of it and get some confidence and he’ll be a chance to clunk everything. And we can’t forget all the colts boys who have come into the senior squad fresh off a grand final appearance, with Denzel More and Riley Garcia already debuting on the weekend from that class. A lot of things still have to go right, and of course being part of the squad I’m probably talking up the group with a bit of bias. But I really do believe if we stick to our guns and a group of players can take even small steps forward, or have their moments throughout the season, along with the senior group doing what they do, we can have a successful season. And it would be limiting to put any type of ceiling on what could be achieved. Another aspect to consider when looking at our season is the fact we are heading into our second campaign under the guidance of Pickers (senior coach Adam Pickering) and his coaching group. A new coach needs time to implant their style and structure on a group before serious judgement can be passed on how well they are performing. Particularly when considering Pickers has brought with him a completely fresh game style and new structures which the majority of the boys had never seen before. With one season under the belt, a large chunk of the group, excluding new players who have come in, now understand the game style fairly well and how Pickers is wanting us to play. And the majority of those who have come to the club this past off-season have picked it up pretty quickly having other players there to help them learn along the way. You often hear a lot of carry on about players having great pre-seasons and being fitter than they’ve ever been, so it might be cliché of me to bring up the fact that the group is fitter than it was last season, running better times across the board when compared to last pre-season. But rather than focusing on the fact that the boys are fitter, I think the more important thing to take away from this is the that the group have come back and decided to work harder than last pre-season, which seems to be a reflection of the growing belief in the direction Pickers and the coaches are trying to take us and the club as a whole. The boys are gaining more confidence and can see that if they stick to it and trust the game plan and what we are trying to build, success will come. That success is something I’m desperate to be a part of, and anyone who has an injury will tell you watching from the sidelines is never any fun. I was watching from the bench as Josh had that set shot after the siren on the weekend, and it is a hollow feeling as a player watching while knowing you are unable to be out there with the boys trying to grind out a win. Burgo has me helping out with a bit of coaching with the reserves which helps fill the void a little bit, but it’s not the same as running out on game day in the black and white jumper, which hopefully I’ll be able to do again soon. We’ll be looking to get on the board this week against the Royals, and given we bring the same effort and tidy up a few things, supporters should be optimistic about the result going our way.